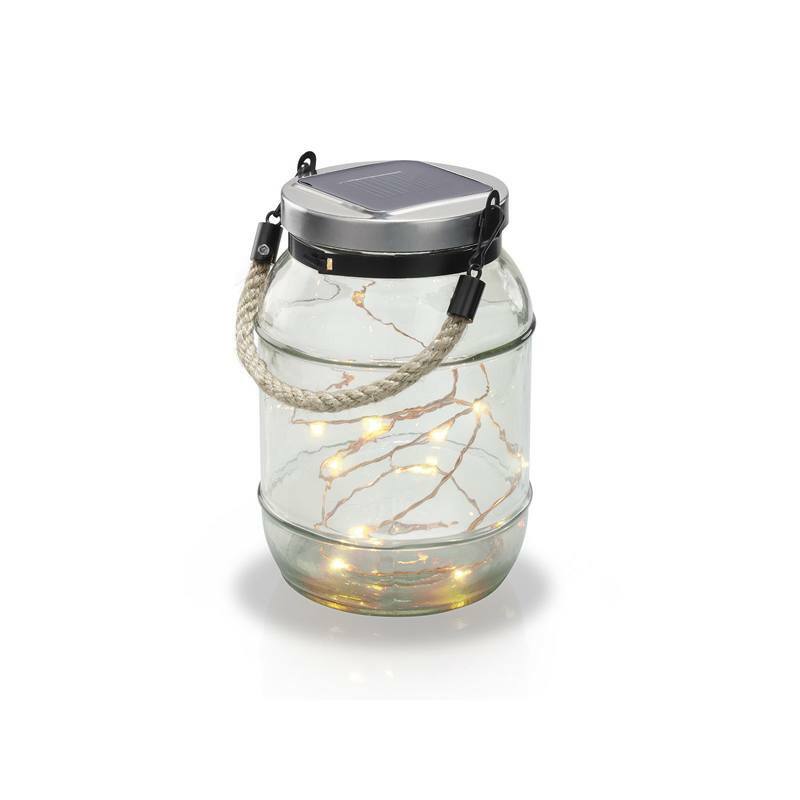 This unique solar light is a guaranteed eye catcher. Inside the glass body a light chain with 15 warm white LEDs is mounted on a wire and can be freely designed (bent). Thus, every glass is unique. The combination of the glass and the warm white light gives the lamp a particularly decorative touch. The lamp can be suspended by rope or simply placed wherever you want. A solar modul is installed in the stainless steel lid, which charges the battery with the power of the sun. At night, the light turns on automatically.